Lelani and Rod Wanted something special for their wedding. 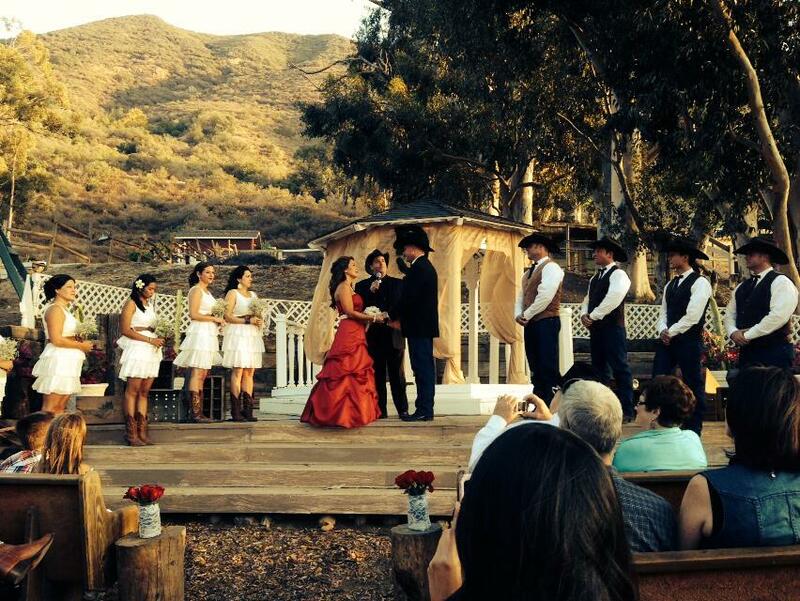 They wanted a country western style wedding with a saloon, horses a mechanical bull and barbeque. They got all this and much more at Star Ranch in Corona. I know Lelani for many years and was excited to do her ceremony. I did the whole ceremony with a southern preacher drawl and it was so much fun. 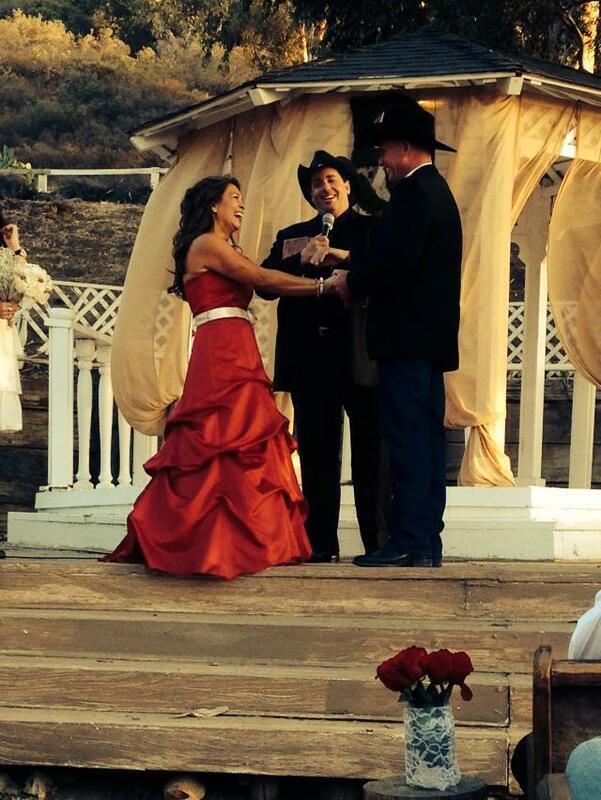 She had an awesome red dress and cowboy boots and the guys were all in hats and boots. Check out the video below to see all the country fun. Next Post Next post: Bouquets come in handy. Pun intended.